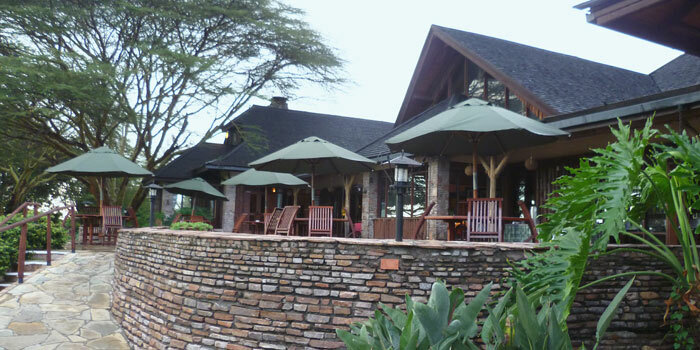 This lodge was the first of its kind to be built in Kenya’s Masai Mara National Reserve. It offers top class comfort and luxury, yet still retains its intrinsic years of history, tradition, character and charm. There’s always plenty of activity around the waterhole, but during the migration the lodge is enveloped by the swarming mass of animals. Situated at the southern end of Kenya’s Masai Mara Reserve. Offers a main restaurant serving international and local delicacies, three bars, caf© and TV lounge. Leisure facilites include an outdoor swimming pool, hot air ballooning, game viewing, bird watching, cultural safaris, Lake Victoria fishing expeditions and board games.Various charges payable locally. 87 rooms, 10 chalets and 2 suites with en suite baths and private balconies (2 adults and 1 child).